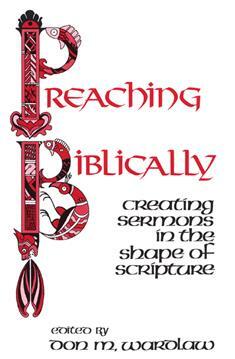 How can a sermon be shaped so that it conveys the reality of Scripture? In this innovative work seven homileticians explore new ways of bringing to life the power and drama of God's word in Scripture. In addition to editor Don M. Wardlaw, contributors include Ronald J. Allen, William J. Carl III, Thomas G. Long, Charles Rice, Gardner Taylor, and Thomas H. Troeger.